As a final act before you resign you are expected to submit a formal resignation email to manager or the HR Department. This may be over and above any internal company procedures. To help you write a professional resignation email we have created a resignation email template that you can easily edit with the help of guidelines given in our sample resignation email format. Add the following address in the ‘to’ ‘cc’ and ‘bcc’ fields respectively. Bcc: <Your Personal Id> -- Always keep a copy of such communication safely with you Note: Never add any other Id to Bcc, that person would realise you have used Bcc function as he won’t be able to see his Id in ‘To’ list. Subject: Letter of Resignation from the post of <your designation> effective <your last working day>. I hereby write this email to formally bring to your notice my decision to resign from the post of <your designation> at <organisation name> effective from <last working day>. As per company policy I would be serving a notice period of <notice period as in company policy> starting today. My last working day for <organisation name> would be <again mention your last working day>. I take this opportunity to thank <organisation name> for all the learning opportunities I was provided with during my tenure of <years at the organisation> at the organisation. I offer my assistance to complete any pending tasks or during transition if asked to. Kindly treat this as my official resignation letter. I wish you and the entire team very best for your future endeavours. 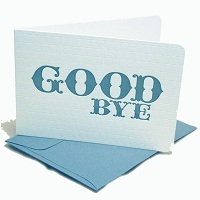 Never resign on a negative note – Your resignation letter says it all. The above resignation letter template shall only provide you with a rough framework to build your resignation letter. 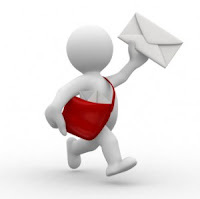 To write a resignation letter best suited to your needs read How to write a resignation letter. Tell us if we were able to help you. Post your feedback suggestions or specific queries in the comments section below. We would like to hear from you. what is year at organisation ?